Cummins will be highlighting the new HSK78G natural gas generator series during the Energy Hannover show, at Hannover Exhibition Grounds, Germany (April 1 – 5), hall 27, stand L62. Following the official launch of the series on the 5th March during the Middle East Electricity show in Dubai, Cummins will now be introducing the HSK78G series to the biggest European industry fair to highlight the key benefits offered to the European markets. This new gas generator series represents a bold step into the natural gas arena for Cummins, showcasing new technology in a new engine that pushes new levels of efficiency, transient performance and gas variation to extremes. To give customers the opportunity to learn more about this new series, Cummins will be presenting in the Decentralized Energy Supply and Building Energy Technologies Forum on Friday 5th April at 11:00am and 3:30pm UTC+01:00 respectively. This will provide all attendees with ‘An introduction to the HSK78G gas generator series’ and will allow them to quiz our experts with any questions that they may have. In addition to the forums customers can step inside the HSK78G Experience Pod room displayed on the stand. Within this experience visitors will be going through a journey of different extreme and urban environments from blistering hot deserts to cityscape settings, to understand the full capabilities of the HSK78G series. Alongside the HSK78G Experience Pod room an interactive touchscreen will be displayed, allowing visitors to explore the complete HSK78G generator model in 360° mode and learn more about the key technical features of this new series. 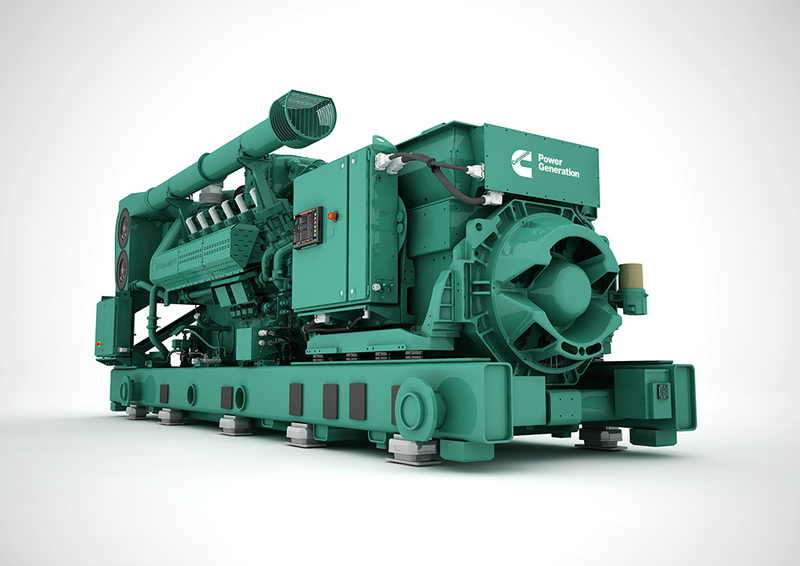 With a power density from 1.6 to 2.0 MW from a 78L engine across 50Hz and 60Hz, the HSK78G generator models are suitable for a diverse set of industries from landfill, agricultural biogas to manufacturing, greenhouses and hospitals, and have been designed to operate reliably no matter the operating conditions while achieving a low total cost of ownership. The HSK78G models run cleaner, delivering a high electrical efficiency up to 44.2 percent for 50Hz models, on a wide range of pipeline natural gas down to 70 methane number (MN) without impacting power and efficiency output. For 100 years, Cummins’ technology has powered success around the world. The company’s comprehensive diesel and gas portfolio delivers innovative power projects and solutions based solely upon customer requirements. On stand, visitors will be able to meet product experts to discuss the Cummins’ wider range of products and aftermarket services. Learn more about Energy Hannover 2019 and book tickets here.